January is coming to an end. Truthfully, I’m glad. I’ve spent most of this month sick and injured, respectively. The first half of this month I had the flu. Just a few days after having completely recovered from the flu, I somehow managed to injure my back. Though not a serious injury it has left me combating pain, daily. On Friday, after school, I went to one of my favorite coffee shops, so that I could eat something and take my pain medicine. 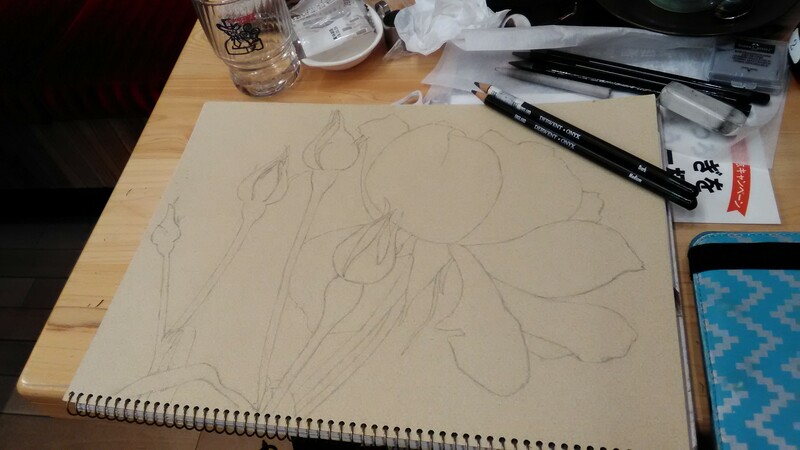 I often go to this coffee shop to draw, but because of my back injury, I hadn’t gone there in few days. I hadn’t drawn for much of the week, by this point. I decided, “No more. 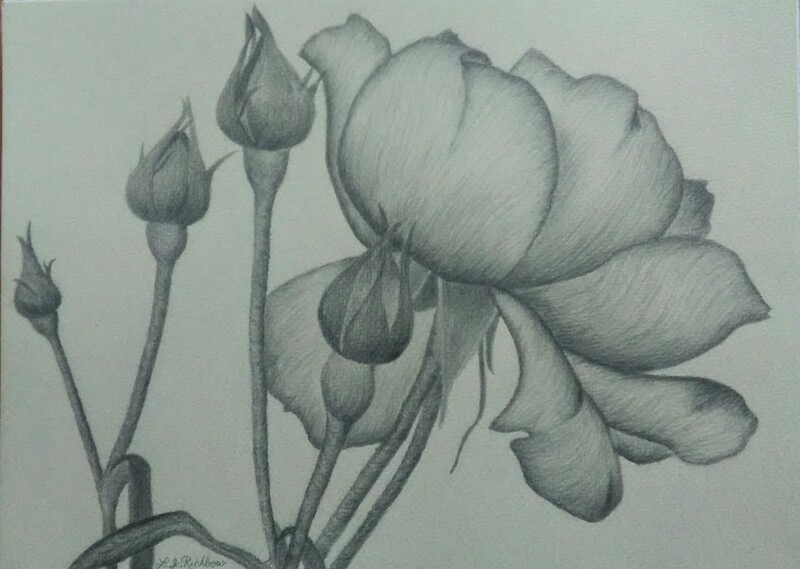 It’s time to get back in the game.” I realized that I shouldn’t wait to be 100% to start drawing again. Convalescence had already begun. I was well enough to work for eight hours, so I knew I was perfectly capable of drawing, as well. lovely draw. get better soon. Is this part of a series? Thank you so much! 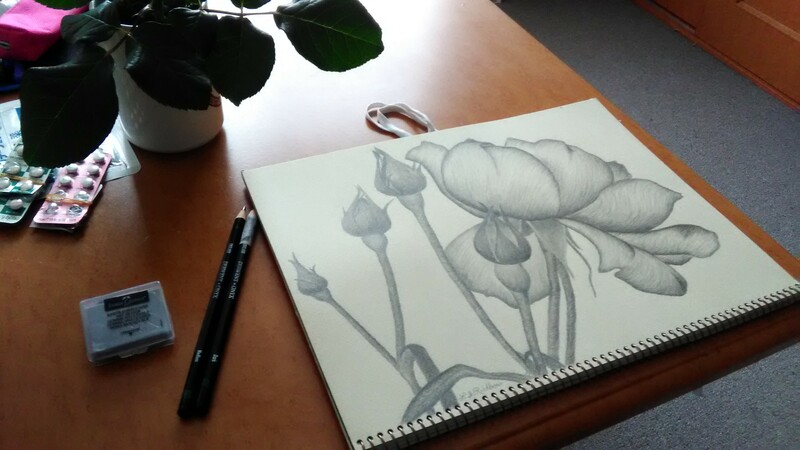 It’s the beginning of series of roses that I will draw using these pencils.